Photo provided by Luis Prinetto of Fly4Life. It’s not even arguable: The phenomenon of human flight is rooted in a spirit of playful imagination for all of us. Even so, some teams express that imagination more than others. 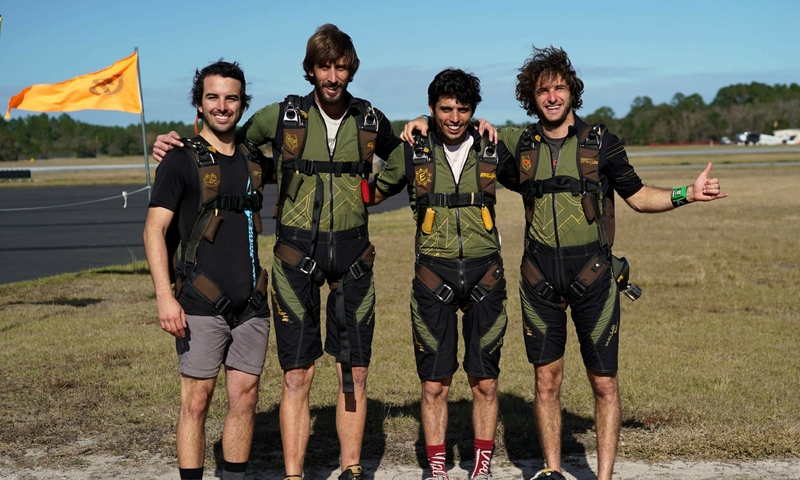 Take Deland-based Fly4Life as an example: For this quartet of Venezuelan athletes, imagination is everything. And “express” they most certainly do. These days, Fly4Life is known worldwide for its inventive style, its beautiful collaborations and the megawatt smiles on the faces of its members. 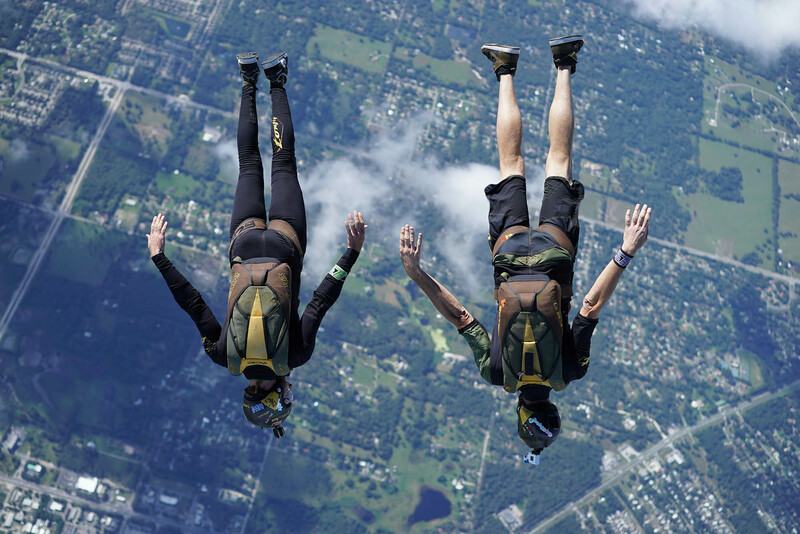 Skydivers the world over want in on that high-octane fun, so they flock to the team’s highly regarded skills camps. In 2014, cameraman Richard “Richie” Scheurich and Claudio Cagnasso came up from Venezuela to–in Luis’s words–bring “a huge desire for learning, talent, and a great vibe”. Any camp participant will tell you that the quartet forms a magical combination; clearly, each teammate shares a vibrant enthusiasm for teaching at the highest level. That never-a-dull-moment approach poses some nail-biting safety challenges. 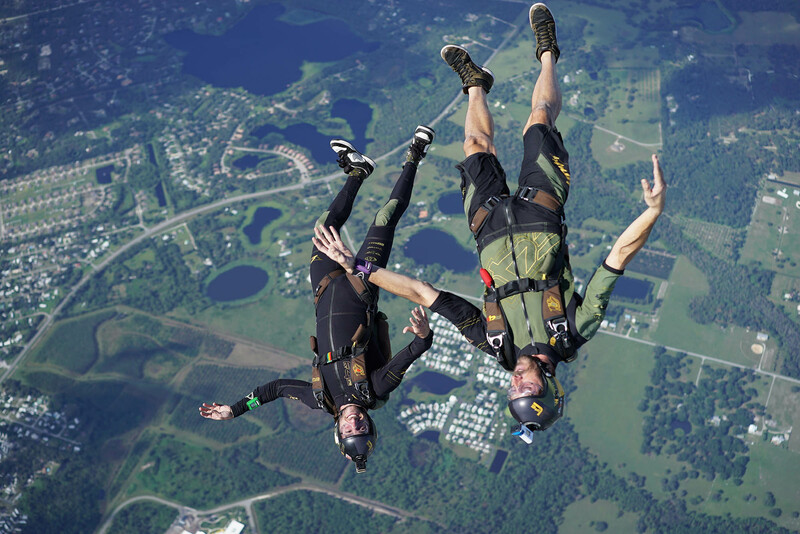 In the high-speed, high-stakes environment at the bleeding edge of angle flying skills camps, one wayward athlete can create a very serious safety problem for the other jumpers in the sky. That said: Fly4Life’s camps enjoy a rather unique reputation for safety. That is most certainly by design, and the team aims to keep it that way by carefully crafting skills-appropriate groups of limited size. One of the key points on that questionnaire is a very direct question: Is your gear equipped with an AAD? If the answer is no, there will be no Flying-4-Life for you. The team is deadly serious about participant safety, and a cornerstone of that commitment is their AAD requirement for all participants. They practice what they preach, of course: Each of the Fly4Life team has a CYPRES on his back. 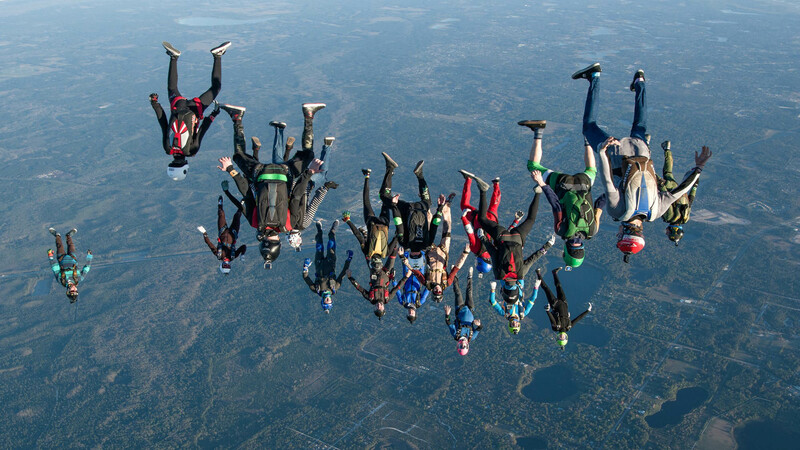 Fly4Life camps, that rotating cast of confident, enthusiastic jumpers learns a lot. Over the past couple of years, such continuing education has resulted in a significant uptick in participant ability. The Fly4Life guys couldn’t be happier about that collective progress. It’s evident from our conversation that it’s not just the jumpers around them that are evolving. 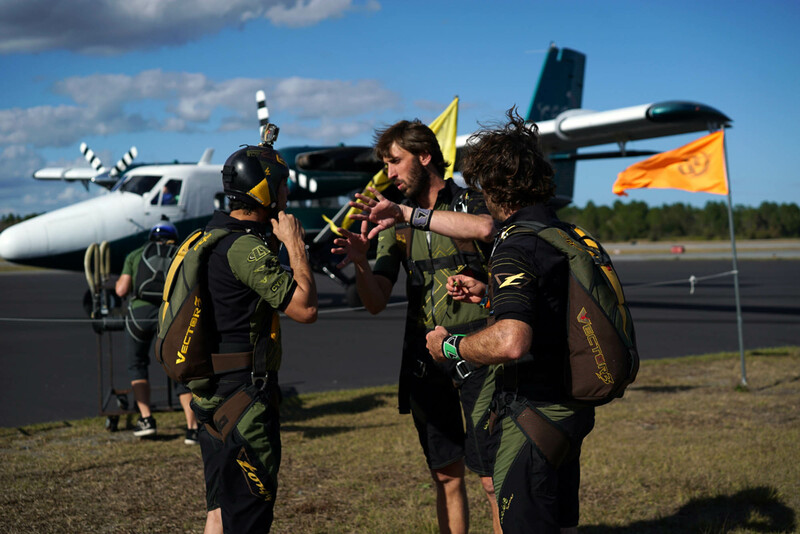 Fly4Life is also growing as a team–and, though they have absolutely no intention of abandoning their vocation to teach the people to fly efficiently, they plan to shift some of their collective focus to team projects during the coming seasons. CYPRES is proud to support Fly4Life in their tireless quest to advance the sport (and keep the whole skydiving world smiling). To check out their camp schedules or book private coaching, reach out to them through their website at teamfly4life.com.